We experience many coincidences in life, but some are so perfect that they almost seem like fate. When a group of people gathered to say goodbye to a dear friend who passed away on September 18, they became witnesses to one such phenomenon. 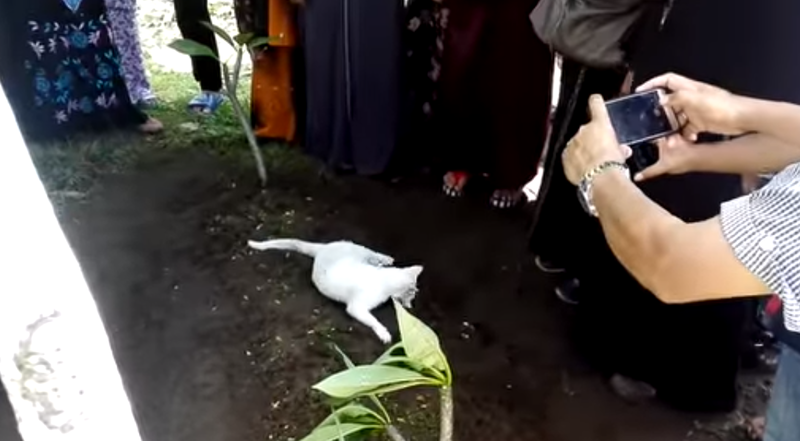 The deceased, who was known to love cats during his lifetime and even provide shelter to strays, had been laid to rest on the grounds of the Kelibang Mosque in Kedah, Malaysia. The man's loved ones saw a white cat pawing at the spot where he was buried, and the kitty refused to leave, making them believe it was a sign.